(CNN) As they sped away from the shooting scene at Marjory Stoneman Douglas High School, the first responder was skeptical. Lt. Laz Ojeda of the Coral Springs Fire Department had been told that his patient, Maddy Wilford, was 15 years old. She had been shot at least three times in the February 14 mass shooting, and she'd lost so much blood first responders initially feared she was dead. But Ojeda thought she was older than 15 and roused her to make sure. Conscious for a second, she whispered she was 17. Instead of taking her to a hospital with a children's facility some 30 miles away as he had been instructed to do, Ojeda made the decision to take Maddy to a hospital just 10 miles from the high school. The gutsy, split-second call probably saved her life. Ojeda recounted his story Monday during an emotional news conference at Broward Health North, the hospital where his team took Wildford. 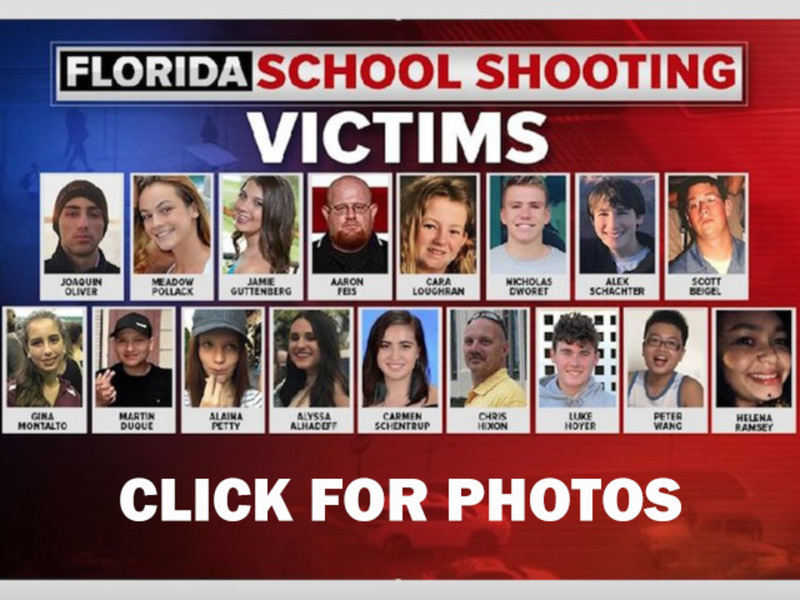 Ojeda was in the third rescue group to reach the high school after shooter Nikolas Cruz had opened fire on students, teachers and staff that day. He said it was a scene of "organized chaos." When Wilford was brought to them, she was so pale they didn't think she was alive, until another officer shook her. "I believe she gasped, or she moved," Ojeda said. "She made signs of life." Alive, but in bad shape. She had a number of injuries, including a chest wound, which Ojeda says a SWAT team member from the Broward County Sheriff's Office sealed up, an act which also contributed to her survival. Ojeda and his team prepared her for transport. "I looked at Maddy, and she didn't look 15," Ojeda said. "We had been told to take her to (Broward Health Medical Center)." That medical facility, which also has a children's hospital on its campus, was about 30 miles away, and Ojeda was worried Wilford would die before they got there. "I looked at her, I gave her a sternal rub, and I said, 'Hey, how old are you?'" Wilford showed no response to Ojeda's question. He asked a second time. "She came around, and she told me she was 17," Ojeda said, his voice quivering with emotion as he wiped away tears. Then he made the decision that the doctors who treated her agree saved her life. "We're going to Broward North!" Ojeda said as he redirected his team. "It's only 10 miles away." Wilford came under the care of Dr. Igor Nichiporenko, medical director of trauma services at the hospital. When she arrived, she was "pale and not responsive. She was in shock," said Nichiporenko, who also spoke at the news conference. He had little information but could see that she had "multiple gunshot wounds" to her chest, abdomen and upper sternum. Nichiporenko had to perform "damage control," amounting to extricating bullets and repairing damage, first in Wilford's abdomen and then her chest and in the right upper extremity, where tendons had been "shattered from gunshot wounds." Despite her horrendous injuries, Wilford has made an almost miraculous recovery. "Her hospital stay was less than seven days," Nichiporenko said. "Young people have a tendency to heal very fast. She's very, very lucky." Asked whether Ojeda's call to take her to Broward Health North instead of the more distant hospital saved Wilford's life, Nichiporenko said, simply, "yes, of course." Wilford, who went home last week, also spoke at the news conference, expressing her thanks to everyone who helped her. "I'd just like to say that I'm so grateful to be here, and it wouldn't be possible without those officers and first responders and these amazing doctors," she said. As for Ojeda, he said it's hard to describe what this experience has meant to him. "I am beyond words. All I can say is that I thank God," he said on CNN's "New Day" Tuesday. "I thank God for allowing us to be an instrument in this miracle."